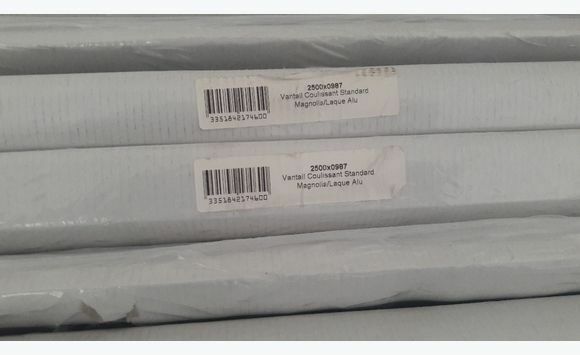 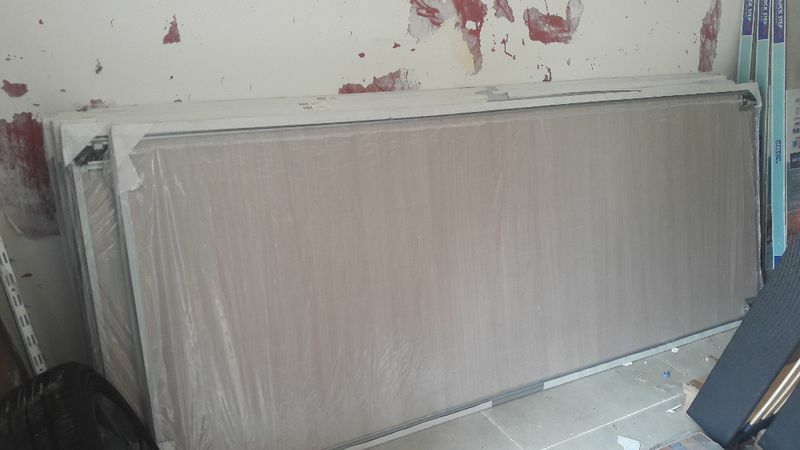 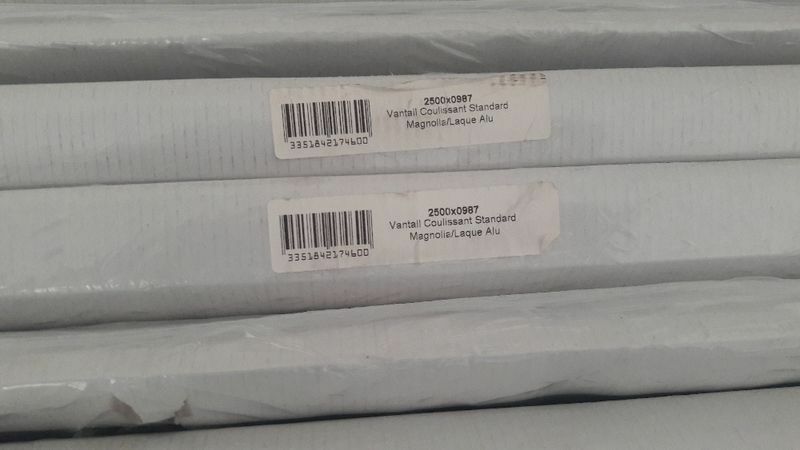 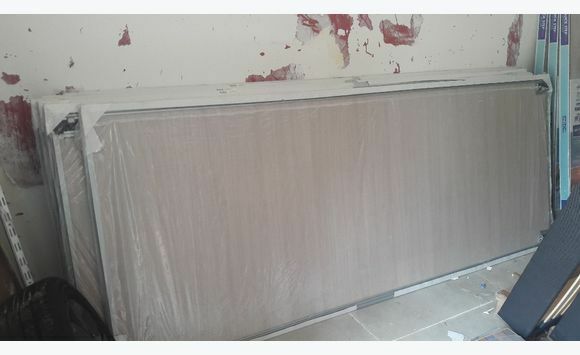 Selling 4 new clear beige sliding cupboard doors under packaging. 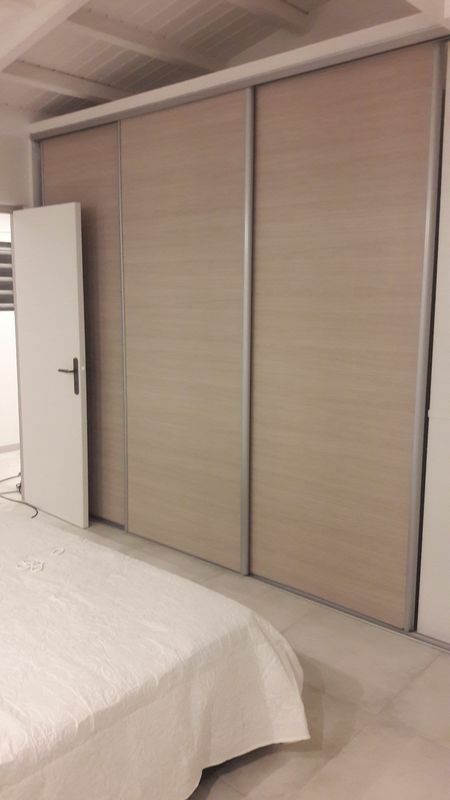 Dimension 2 m in height and 0 m 50 93 in width. 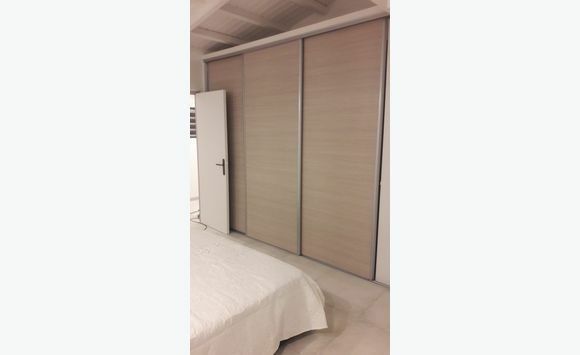 Pair of lacquered rail aluminum for 4 doors.